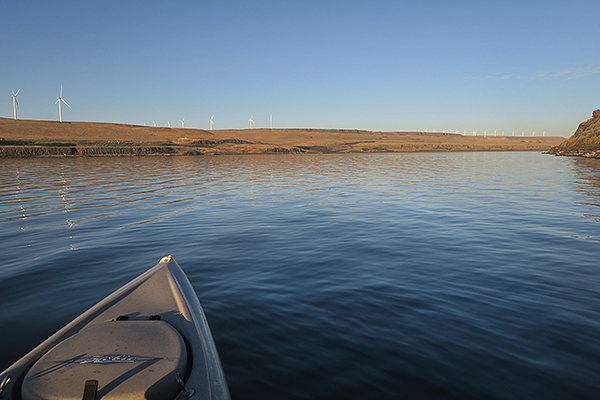 Another kayak fishing trip to eastern Washington is in the books and it was a great trip. While we missed out on the state record for smallmouth bass once again, we caught so many smallmouth bass that we lost count of how many fish we caught. Lots of fish caught and a lot of half hits that didn’t stick made for plenty of smallmouth bass kayak fishing action. 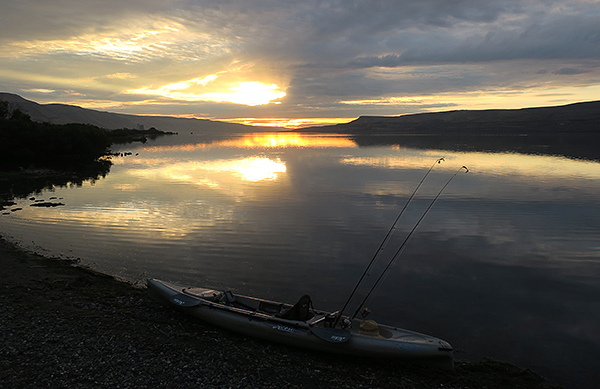 The big thing is that the relentless wind we’ve had this spring and early summer died to near calm for a couple days allowing us to get out on the Columbia River and do some kayak fishing. It’s great when the sun rises on a glassy Columbia River, especially in a place known for it’s strong and consistent wind. With very little wind, the days were sunny and hot, but not unbearable. Perfect kayak fishing conditions on the Columbia River. As I mentioned earlier, we did not manage to get into any trophy smallmouth bass, but caught lots of half to one pounders. 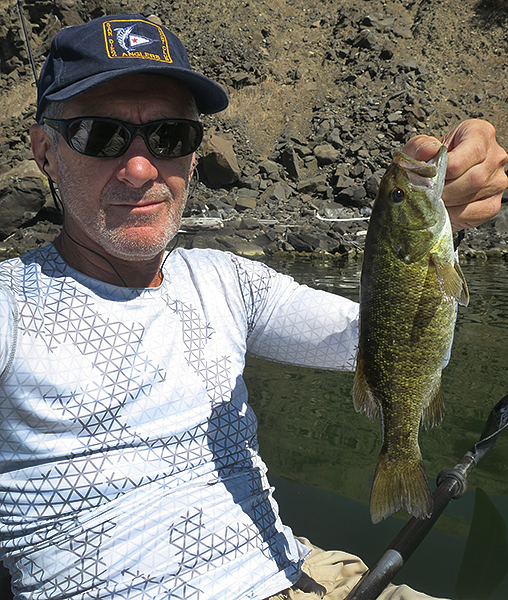 Smallmouth bass are great fighters, even the smaller fish put up a great battle. We’ve got at least a week of wind coming up that will keep us off the river so we are heading up towards Mt. Adams to do a little mountain biking. We’ve got a few more videos coming up shortly so we’ll be working on those as well. Keep checking in because we always have something going on!